Out here on the ASA High School Tour, week three, and I must say this is probably my favorite week of the four week long tour we are doing. Starting off the week in Santa Cruz, and ending it in San Francisco means being able to skate a lot of cool spots and see some friends I haven’t seen in a long time. Along with the excellent riding, the schools were very responsive and the crew of Marines we had with us were some of the very best. The week started out in Santa Cruz with a demo at Soquel High School. Upon arriving to the school, we were immediately greeted by some students. I began to warmup on the ramp and heard a few kids saying my name prior to the demo. I came to realize that these were some kids, now teenagers, that I remember seeing around skating in Santa Cruz for the past 6 years. It’s awesome going to a city that I know and being able to show the rest of the guys on Tour around, and seeing all the same faces still riding and progressing. Because a few of my sponsors are based out of Santa Cruz (Oj Wheels & Independent Trucks), I have been coming here for years. 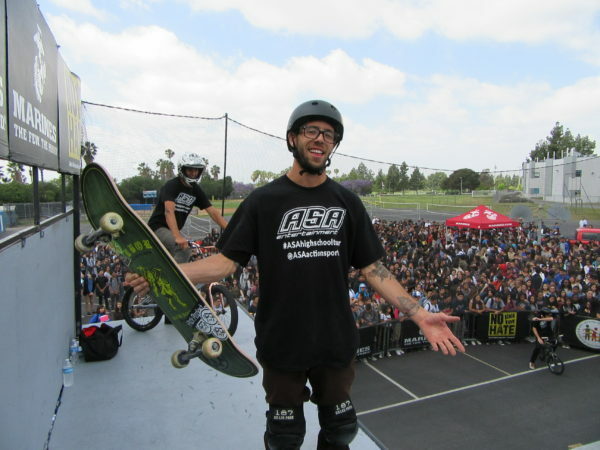 Each day after the shows I met up with my team manager for Arbor Skateboards, Jordan Tabayoyon, to go skate. 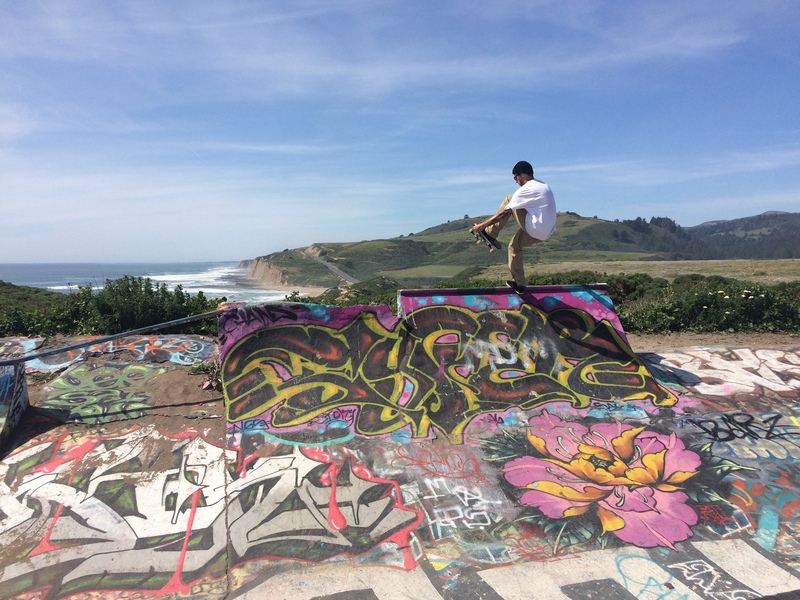 He took me to this awesome DIY spot above the beach in Davenport that I must say was majestic. Just another spot for me to show the guys on Tour next time. My favorite school of the week had to be James Lick High School. Before even getting to the ramp, I had a Marine by the name of Sgt. Cruz, approach me asking if I wanted to play a game of S.K.A.T.E. (the skateboard equivalent of H.O.R.S.E. in basketball). I was a little shocked to say the least, seeing that he was wearing steel toe boots. 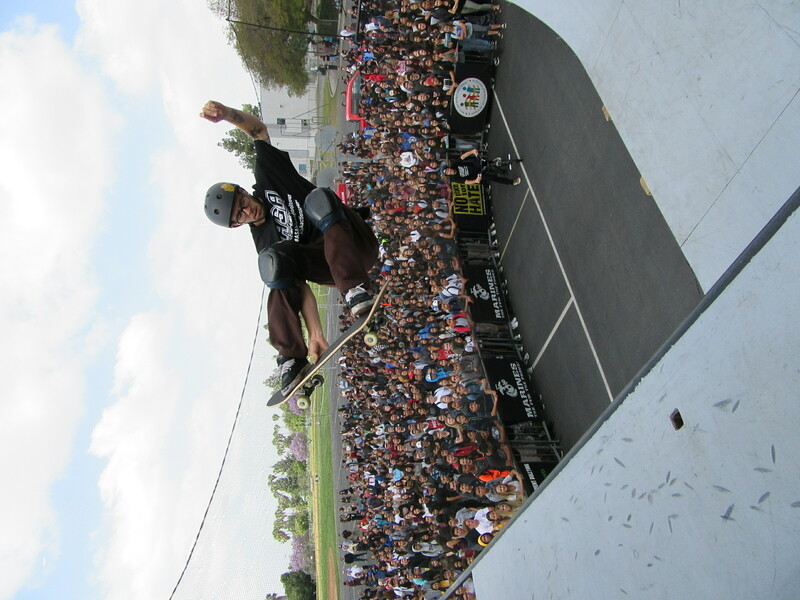 I came to find out this guy has one heck of a kick flip even in his steel toe boots. It was really cool to see the connection between us. Both at completely different parts of our lives but we can bond over a little wooden toy. The hype continued through the demo. And just in the same way my skateboard helped me to make a new connection with Sgt. Cruz, I saw a few kids from afar resolve what seemed to be a slight altercation just through talking. They kids came over to me together to talk about skating and the message of anti-bullying and where they could maybe try to skate together after school. Santa Cruz and San Francisco have been a few of my favorite cities for years now, and to come here to make an impact on some of these kids is really cool. Hopefully they’ll use riding as a way to keep them out of trouble and to spread the love between people showing that no matter who you are you can be valuable and talented in many different forms of life. 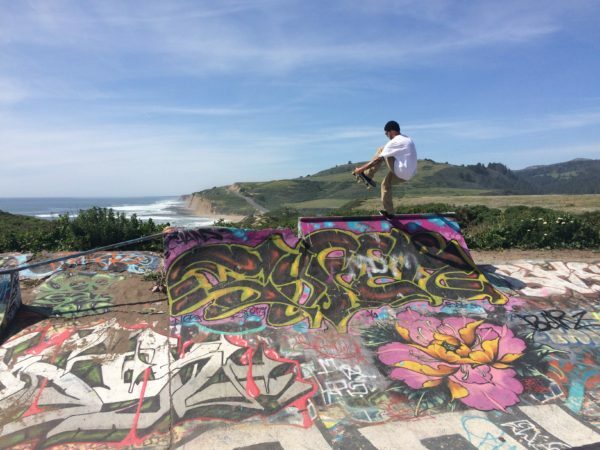 This entry was posted in Homepage Featured, School Visits and tagged James Lick High School, Josh stafford, San Francisco, Santa Cruz, Spring Tour by Taylor Dressler. Bookmark the permalink.